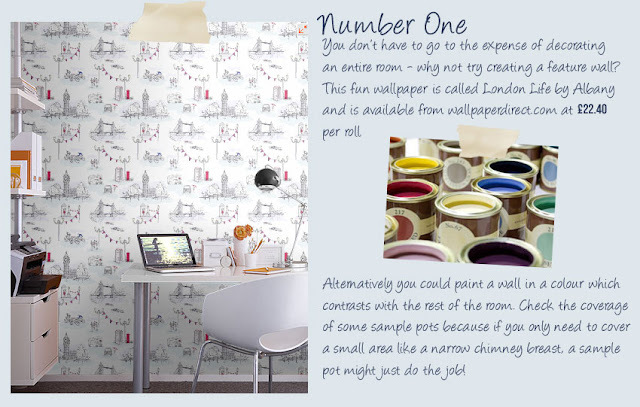 Brit Decor : Home Page: Brit Decor's top ten budget makeover tips! Austerity doesn't have to be all bad! As I recently proved in my 'Shoestring Style' post - styling your home on a budget doesn't mean that you have to compromise on style. I know personally that it never hurts to be a little more savvy about what I spend my hard earned cash on so I thought this might be a good time to share some of my top tips for creating a mini room makeover that won't break the bank - hoorah! It's amazing how often it can take only one carefully chosen makeover element to transform an entire room. The key is to add strong, interesting focal points to draw the eye away from the old and focus clearly on your new feature. In all there will be ten top tips but I'm going to tease you and post one tip per day! As always, I'd love to hear from you and learn about your own makeover triumphs (and disasters).